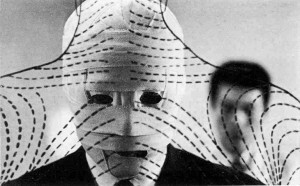 The 3 Film Scores of Toru Takemitsu are taken from three of his collaborations with the director Hiroshi Teshigahara, including Jose Torres, a documentary about a Puerto Rican boxer in New York City; Black Rain, which follows the aftermath of the bombing of Hiroshima; and The Face of Another, a sci-fi drama about a man who reenters his own life after plastic surgeons give him a new identity. The Polish composer Krzysztof Penderecki’s deeply moving Chaconne (subtitled “Polish Requiem”) was written in 2005 to mark the passing of his fellow countrymen Pope John Paul II. Kenji Bunch’s Nocturne was written in 1995, but recalls the sound world of the earliest twentieth century, with a richly layered string sound reminiscent of Schoenberg’s Verklärte Nacht or the film scores of Bernard Herrmann, whose music is represented on our concert by perhaps his most well known piece, the music for Hitchcock’s groundbreaking psychological thriller Psycho.